Whose atomic tracklist beat the others? That’s the question that goes unanswered in Paul Rees’ interview with U2 in the November issue of Q Magazine. 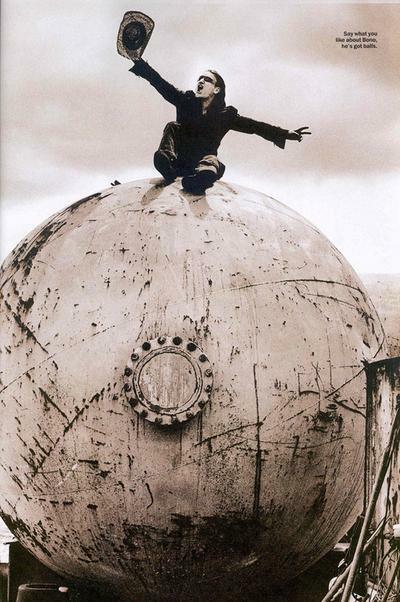 The interview features new photographs by Anton Corbijn and a track-by-track guide to how to dismantle an atomic bomb. Ask him when he was last chatted up and he says, “By a bloke or a girl?”, adding that it hasn’t happened in either case for longer than he recall. 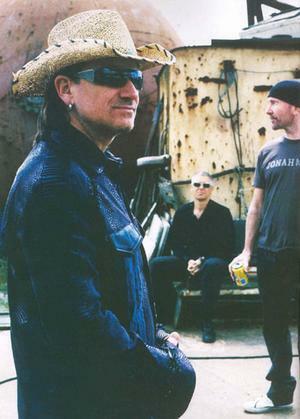 There have been rumours of frustrations within the U2 camp at the amount of time Bono has spent campaigning [for Africa]. 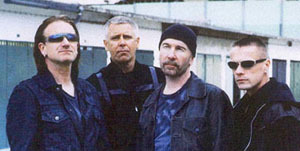 Not so, says The Edge. He insists Bono’s absences allowed him time to work on the new record alone and it’s all the better for that.